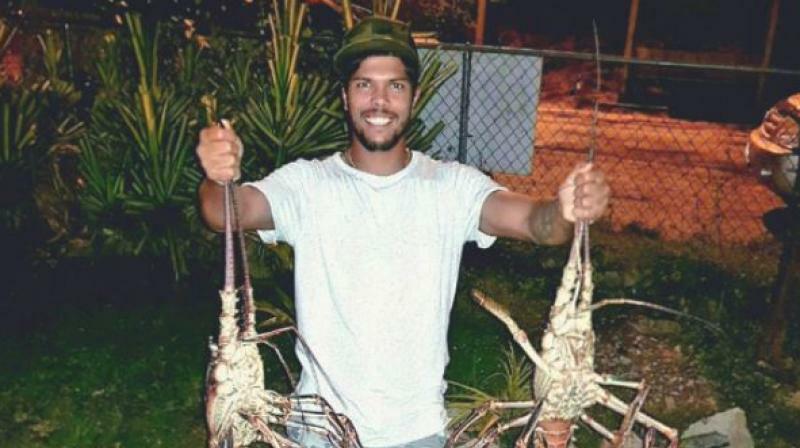 Kingston: Team India pace bowler Umesh Yadav drew flak, after he posted pictures of himself with a couple of gargantuan lobsters. 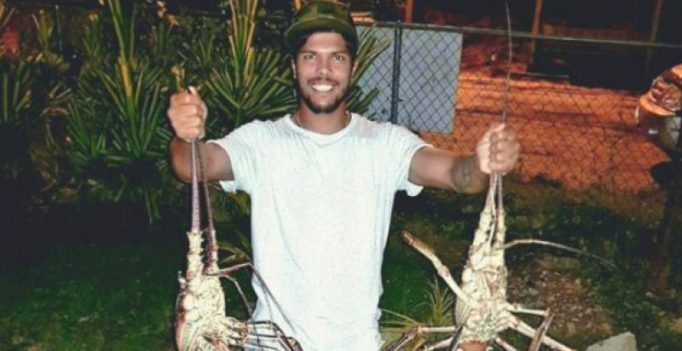 Umesh, who is currently touring the Caribbean with the national cricket team for five ODIs and one T20I, posted a rather bizarre picture on Instagram, of himself holding two massive lobsters upside down. While a number of fans expressed their amazement at the incredulous size of the lobsters, certain supporters were clearly unimpressed. Some of the fans asked Umesh to concentrate more on his cricket, rather than on lobsters. Some of these fans even blamed Umesh Yadav for India’s loss at the hands of arch-rivals Pakistan, in the ICC Champions Trophy final, last month. “Bowling pe dhyan do, yahi ******** kiye final haar gaye,” wrote one fan. (Concentrate on bowling. We lost the Champions Trophy final because of these things). Ironically, Umesh was not even picked in the Team India XI for the Champions Trophy final. 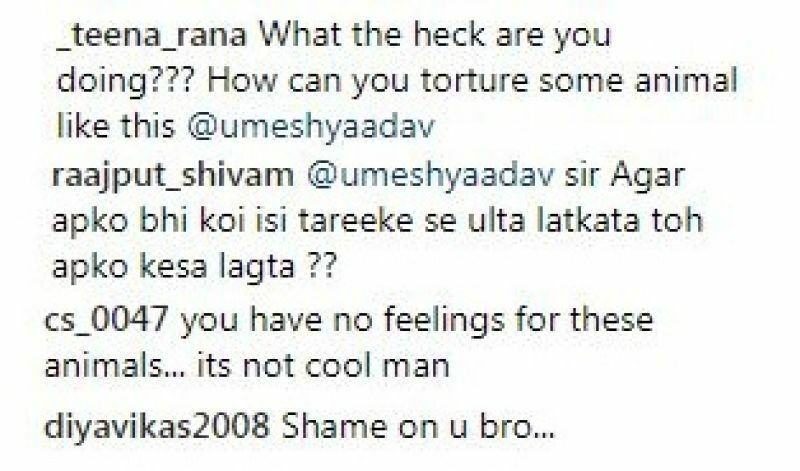 Another fan, who believed that Umesh is a Buddhist and a vegetarian, was incensed that he is holding lobsters upside down. 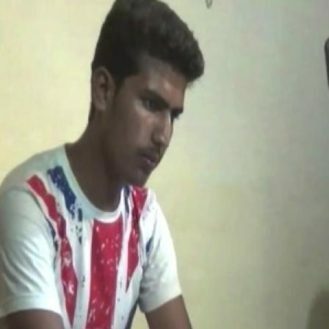 However, Umesh drew the biggest criticism from a certain section of fans, who stated that the Indian fast bowler was being cruel to other living beings. India are set to play their fifth and final ODI against West Indies on Thursday, a match that will decide the outcome of the five-match series, which Virat Kohli’s men are currently leading 2-1.